Dry Hair during the coldsnap, Coconut oil!!!!!!!! I have more manageable Hair!!!!!! 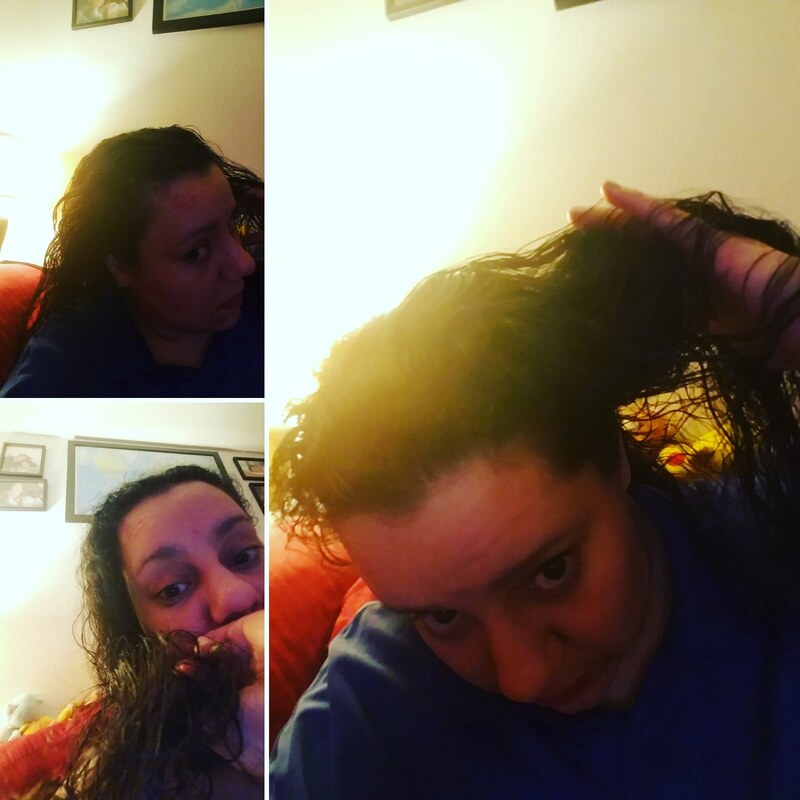 After the #coconutoil grease slick set for 2 days(It felt sooooooooo nasty, but at least I wasnt worried my hair would break off), I couldnt take it anymore and washed my hair. Then I put more CO on the ends to middle shaft, and VWallah, I have that awesome “can do anything with” wavy kinda hair-almost lols!!! But suffice it to say, Im enjoying the #nofrizz …my hair is soft, but alittle oily/sticky in back. Still, today I brushed my freshly dried hair and clipped it into a half up ponytail with ZERO Frizz. This NEVER HAPPENS TO ME!!! 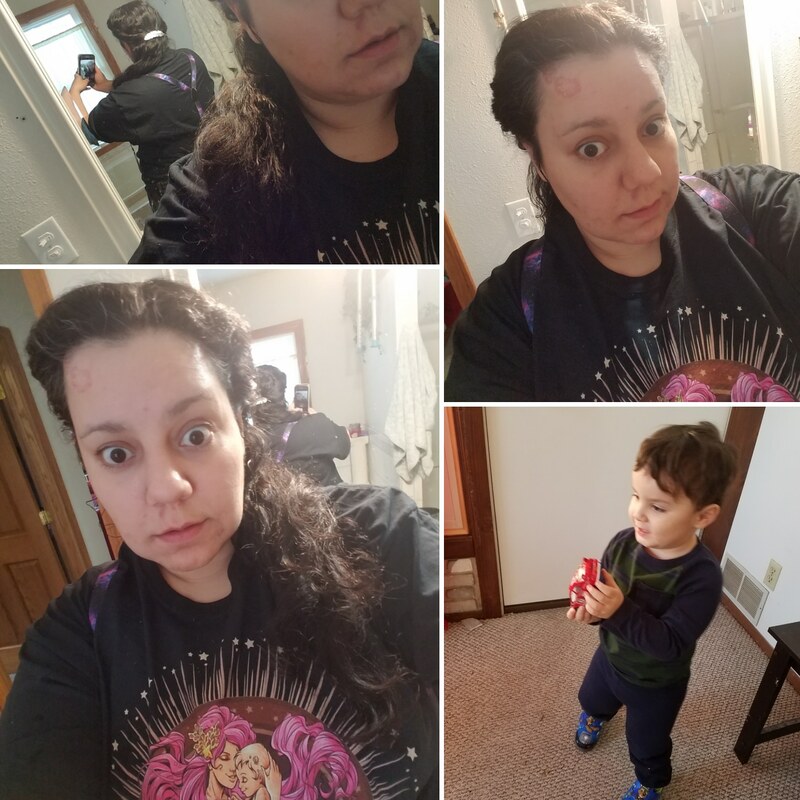 After I brush my curls it looks like birds could nest in my hair, until I braid it up for awhile. My face skin feels like a Crocodile!!! *However , on a brighter note, My #WitchesBrew #lipbalm and Hand & body balm are keepin the rest of me nice and Smooth!!!!! *Also Wubbster looked especially Handsome in his new shirt frm Grandma so I had to include a pic of him!!!! Next PostNext Pain Fade Spray is in at the Shop!!! !